Started with this project in August 2010. Didn’t know what to improve anymore on the Corsair Underground build. It also weighed 34Kg, and lifting it 8 times a day when modding wasn’t good for my back. At the same time i also needed a new desk since the old one had lots of traces of use. So there the idea came, why not an all-in-one solution ? 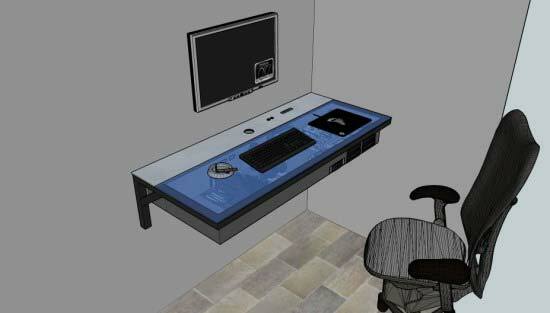 Never worked before with Google sketchup, but i needed a drawing to create the desk. 9 hours later i had a nice 3D drawing with dimensions. Been busy with it for 3 full weeks from 0900 till 0200 after that. See the L3p D3sk tab for more info and pics.